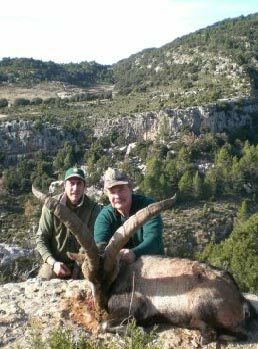 Spain is the finest hunting destination in Europe and the sightseeing is unsurpassed. For the mountain hunter, Spain may be the world's premier venue. Where else can you hunt 7 species of free-range Capra and 2 species of free-range Ovis? Heretofore, the cost to hunt Spain has been staggering. By the time you add up the daily rate, trophy fee, and 16% VAT, the cost of the Ibex hunts usually exceed $12,000 each! Fortunately, Jagdkontor Safaris now provides U.S. hunters with the prices that European hunters pay. More on this later. 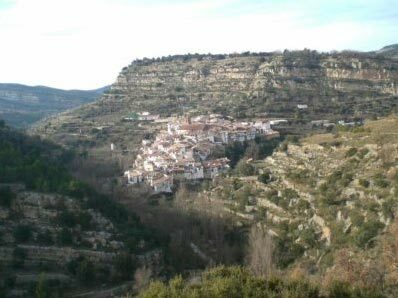 For my first hunt in Spain, my wife and I stayed in San Sebastian on the north coast, partied at the Fiesta de San Fermin in Pamplona, hunted the two southern types of Ibex, and toured the southern cities of Granada, Marbella, and Ronda before returning to Madrid. 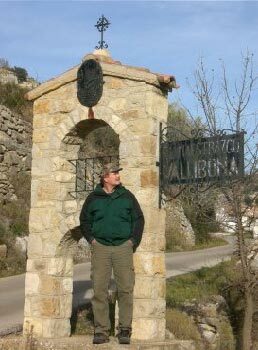 For my recent hunt for Beceite Ibex booked through Jagdkontor, I toured Barcelona and stayed in a small hotel in the hillside community of Vallibona where Ibex could be seen from the patio. Both sheep may be hunted free-range or on estates, so be sure to specify your preference when booking. PRICES WITH JAGDKONTOR (at today's exchange rate) All prices include the daily rate, trophy fee, and 16% VAT!! 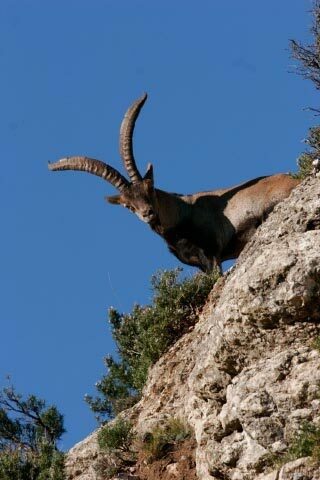 * There was no surcharge for the Beceite Ibex I shot (pictured above). Click on www.sportsmenonfilm.com for additional information on Spain or to review the pricing of all our hunts in Europe, Uganda, and Namibia, or to review our 67 DVDs, or to see our past newsletters. Or call Ken Wilson at 800-910-HUNT (4868) or email him at kwilson@sportsmenonfilm.com.